The excellent appearance of this mat is sure to make a great addition to any entrance or hallway. 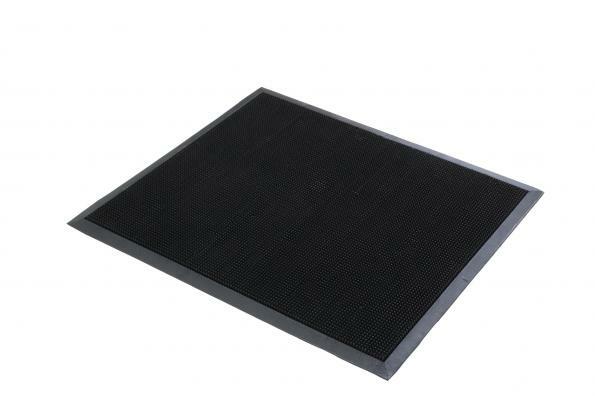 Comprised of heavy-duty rubber construction with hundreds of cleaning fingers, the Finger Top Mat is able to withstand even the harshest of environments and climates. The fingers virtually capture debris and moisture as you walk across the mat, as well as provide anti-fatigue properties for workers who are on their feet for an extended time. 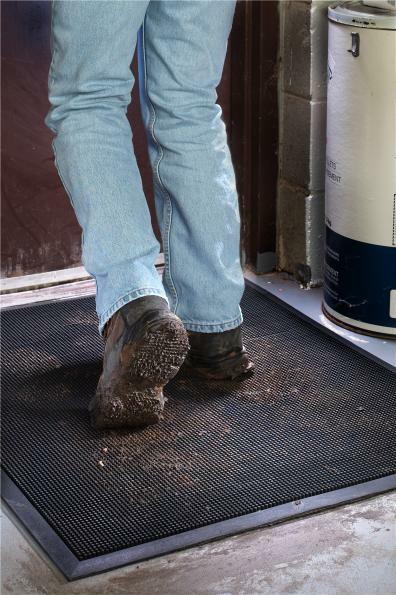 This all-weather mat can easily trap dirt, snow, water and sand. Beveled edges on all four sides hold debris and moisture in, allowing all debris to fall to the bottom of the mat… protecting your carpets and floors, potentially saving you money on floor and rug maintenance. Cleaning is a breeze! Simply shake the mat out, rinse and let dry. 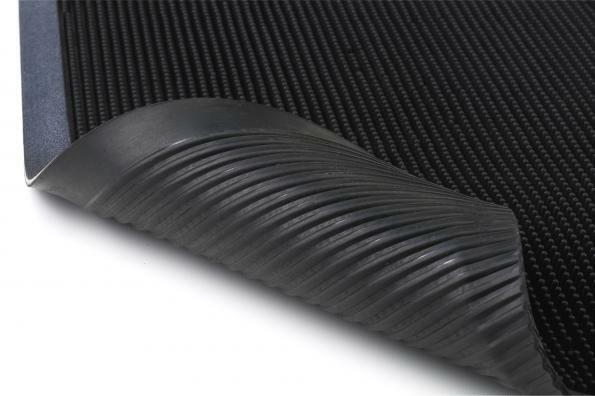 The Finger Top Mat is also available in roll form (beveled on only two sides), which can be cut to the necessary size required for gyms, fitness centers, and agricultural applications.